My name is Lauren, and I’m so excited to join the team at Verus Therapy. I felt particularly drawn to the name Verus, meaning genuine, as I am a firm believer in the importance of being my genuine self, and supporting others to do the same. If you’ve ever found yourself thinking, “I’d love to [fill in the blank], but my partner wouldn’t like it,” or “but I wouldn’t have time to see my friends,” or “but I would miss my children,” you’re in good company. Making sacrifices for those we love is invaluable. However, there’s a fine line between these sacrifices and total disregard for the importance of your needs, desires, and dreams. This lack of self-care can generate anxiety, depression, anger, and resentment. As a mother of two young children, I find joy in admiring the age-appropriate demands my kids make for what they know they like (i.e., chocolate! ), and the way they sometimes quite literally toss aside the things they don’t. As adults, we develop inhibitions. Some may argue this is a good thing – manners, etiquette, internalizing healthy habits – and this is true. 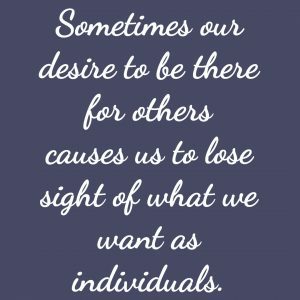 But sometimes our desire to be there for others causes us to lose sight of what we want as individuals. Healthy self-discovery is a life-long process and, despite the word “self,” you don’t have to do it alone. Together, we can examine who you are and what you want, and recognize the importance of achieving your dreams in order to feel more fulfilled in all of your roles and relationships. Lauren is a Licensed Clinical Social Worker (License #44SC05680900). She is a graduate of Tufts University (2003) with a dual degree in psychology and child development, and graduated from NYU with her Masters in Social Work in 2012. 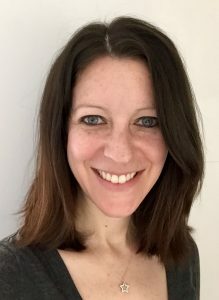 Lauren has worked as a Psychotherapist and Patient Care Coordinator in an outpatient mental health clinic in Queens (New York City), as well as in private practice. Additionally, she has a history of experience in international public relations.